Hummingbirds can zip through the fragrant flowers in your garden at almost 30 miles per hour. 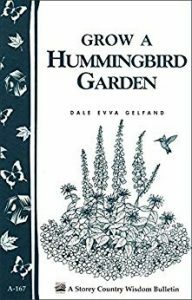 Look quickly or you may miss the hummingbirds that are attracted to your garden. Enjoy hours of observation of these unique birds with a variety of titles from our digital collections. 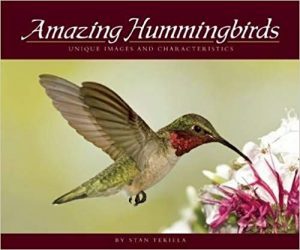 Professional wildlife photographer Stan Tekiela spent more than ten years traveling across the country to observe and photograph the hummingbird's various species. 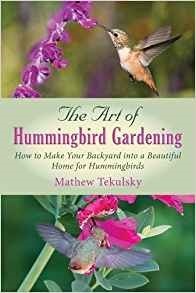 He documented every aspect of the hummingbird's life, resulting in an incomparable collection of images and insight - compiled here in one unforgettable book. Compelling photographs and descriptions present the lives of these enchanting backyard birds. Imagine a thriving garden in your backyard, bursting with vibrantly colored blooms and lush green leaves, shaded by tall trees. Now imagine the same garden, alive with buzzing and flapping and chirping and croaking. Imagine the ecological impact of encouraging natural pollinators. Imagine the excitement of watching your garden become a hub of activity and learning about all of its different visitors. 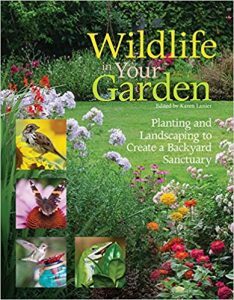 For those who relish observing nature in action, planning a garden to attract certain types of wildlife can bring daily enjoyment right into the backyard. Inside Wildlife in Your Garden: How to deal with and even appreciate the insects in your garden; Reptile and amphibian backyard visitors and how they can contribute to a healthy ecosystem; "Birdscaping"--planning and planting with birds in mind; A special section on hummingbirds that includes an illustrated guide to twelve common types, Using binoculars and field guides to identify birds by sight and by calls; Different types of pollination and the plants and food crops that depend on it; Butterfly metamorphosis and gardening for the different life stages; How bats and moths take over pollination duties at night; Learning to coexist with four-legged furry friends who like to dig and forage; and Natural ways to protect your garden from pests and discourage harmful wildlife.